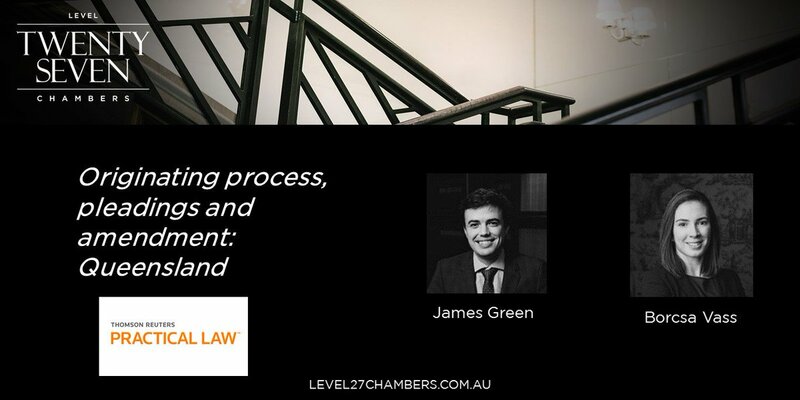 Level Twenty Seven Chambers is Queensland’s largest group of barristers, and its members are widely regarded for the quality and consistency of their work, as well as the breadth and depth of their experience in commercial disputes. 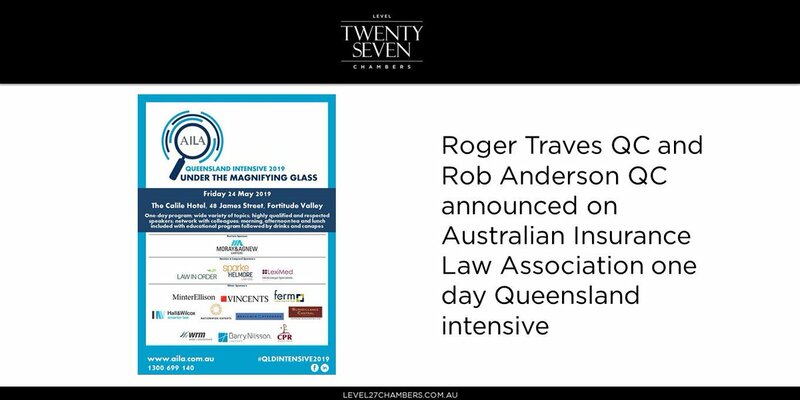 The group’s exceptional reputation is recognised in the Chambers & Partners 2018 and 2019 legal directory. 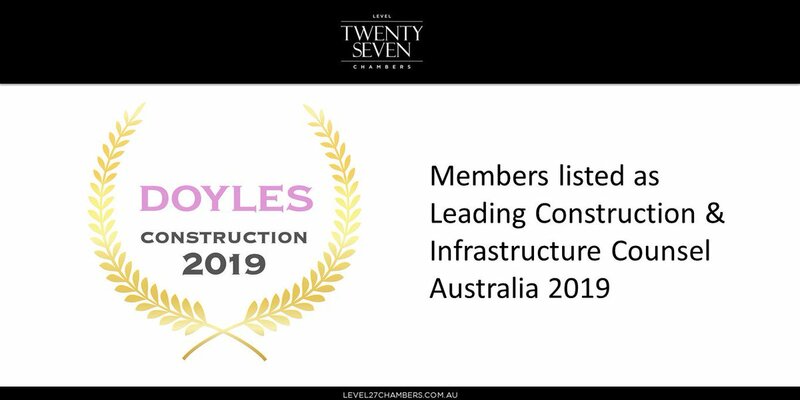 Level Twenty Seven Chambers is listed among Australia’s leading sets in Dispute Resolution and Construction & Infrastructure. 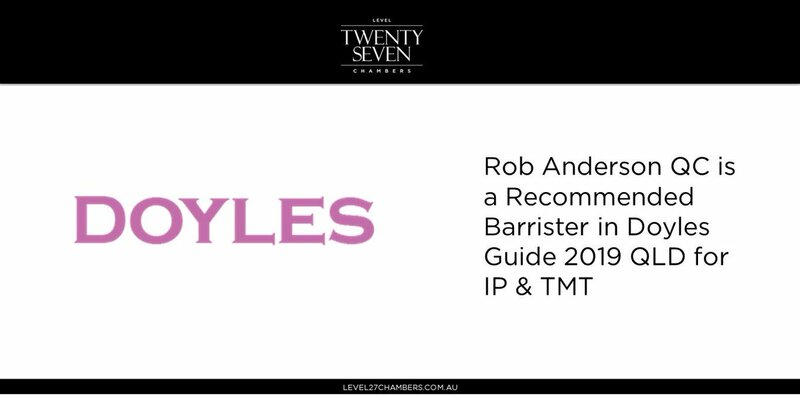 Twenty-one members of the group have also been individually recommended in Chambers & Partners, Doyle’s Guide to the Australian Legal Profession and the Australian Financial Review’s Best Lawyers.